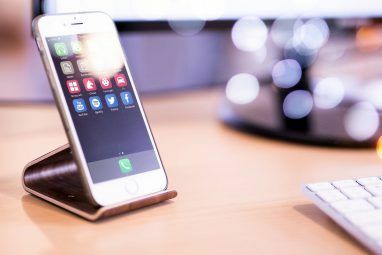 I use my iPhone several times a day for various purposes, so any way I can find to do less tapping and execute actions in a few less steps is important to my day-to-day workflow and productivity. 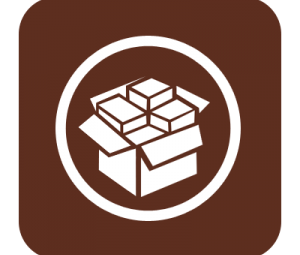 Apple doesn’t allow third-party developers much room for automation and shortcut actions on its iOS devices, but Application Cubby’s Launch Center Pro helps you build app launch actions that can save you some tapping and frustration. Launch Center is not a new app, but at the time of this writing, it’s still on sale at 40% off, for $2.99. This app launches other apps and websites, and it allows you to create customized shortcuts for getting things done on your iPhone with few less taps. Launch Center has several dozen features, and additional actions for supporting apps already installed on your iPhone. Its default actions include a built-in flashlight and an on-off brightness toggle, which in Apple’s setup requires several taps to get at the same feature. But Launch Center can do a lot more. You can set up actions to launch websites, initiate phone calls, text messages, and emails to specific contacts. It also includes actions for dozens of supporting apps like 1Password, Camera+ From The Default iPhone Camera To The Better ProCamera For Serious Shutterbugs From The Default iPhone Camera To The Better ProCamera For Serious Shutterbugs For the last several weeks, I've downloaded over a dozen camera and video apps for the iPhone, and though each has something unique to offer, I was particularly interested in finding the most practical camera... Read More , Dropbox, Instapaper, and Twitterrific. For example, in a feature rich app like Camera+, Launch Center enables you to launch directly into the photo app’s burst shooting and/or time shooting mode (in addition to eight other actions specifically for the app) that will again save you several taps. You can also set up a folder of actions for calling specific people in your contact list. These contact actions are like using Favorite contacts in the Phone app, but with Launch Center it’s a few steps easier to navigate. Launch Center also contains actions for default iPhone apps. You can for example create shortcut actions to speed-dial to specified contacts or to tap directly to the Phone keypad. Similar actions can be created for Messages and Email, as well as Reminders and direct tweets in Twitter. While Launch Center will save you taps, it does require pre-setup time. There are a few built-in actions like the flashlight and the brightness control that are set up for default. But you will need to customize other actions for your particular needs. The home page of Launch Center is similar to how the iPhone home page is set up. The Launch Center homepage can consists of individual actions and folders of actions. With folders you simply press down on one and the actions it contains will instantly appear. You then just slide your thumb to the action you want to launch. You compose actions by tapping the Pencil icon on the top-right of Launch Center, and then tap an empty + container. Next, decide if you want to fill that space with a single Action or a Group of actions. You might for example keep a group of speed dial actions, and another group for launching your favorite websites. I particularly like an action that sends me directly to the Jazz music section of the iTunes Store. Launch Center has several dozen actions and supporting apps. Some actions are simply for launching other apps. But actions with multiple sub-actions are the ones that give you more cool features. 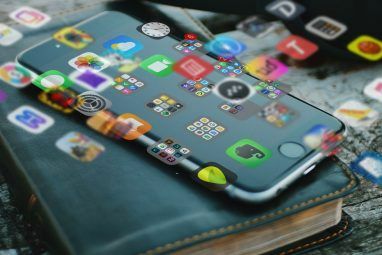 The Action Composer lists first support common default iPhone apps, and the next list contains all your installed supporting third-party apps, followed by supported featured apps that are not installed on your device. You simply tap and add the actions you want to use. You can also customize the icons and color of the action buttons to make them easier to distinguish. I have moved Launch Center to the dock of my iPhone simply because of the number of shortcuts I’ve created that save me the trouble of extra taps. Let us know what you think of Launch Center Pro. If you already use it, let us know some of your favorite actions. What's in your group Weno/ifttt, I'm curious which integration you could made of IFTTT in the iphone. I use IFTTT to toggle my hot water pot when I'm driving back home. The recipe allows me to send a text message to a special IFTTT phone number, and in turn the site toggles the Weno over Wi-Fi. Now I get it! It's a nice tip! I am using this already for a long time. And i think this is a must have app in IOS, it makes you easier to access your favourite software with out scrolling to more screens. Yep, I wish Apple would integrate the features of this app into the iOS. Thanks for your feedback, Boni. Haha.. Great idea. But they need to pay much money, because that will make a new patent war for apple.. They are very sensitive about patent..
Boni, you got that right. In Apple's case they can absolutely afford several lawsuit cases and not even break the bank. thanks for telling us ! I just use folders, and I only use my home-screen, so everything is accessible within two taps tops. Yiz, I'm too much of a app addict to only have two pages of apps. But I'll admit I probably don't use more than 30% of the apps on my iPhone on a regular basis. Nice app , do you know if there is something similar for IPad ? It's not optimized for the iPad. Not sure why they haven't done that so far. But I do think it will work on the iPad, even in the iPhone version. You might try downloading and see if it works. Thats really awesome, never figuredout. Thanks for sharing! You're welcome, Navin. Appreciate the feedback.